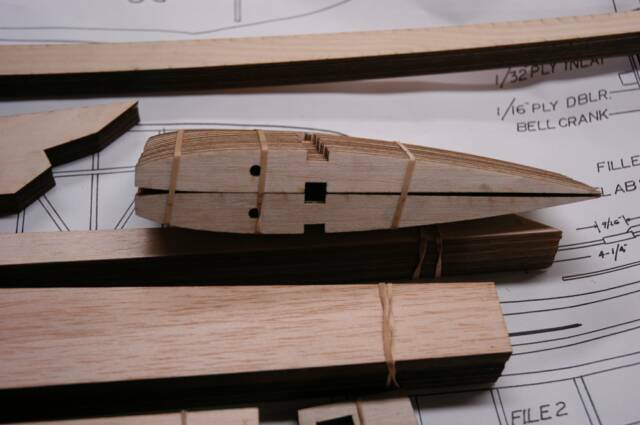 The SGP full wing kit comes with CF and Kevlar thread only for the wing joiner boxes. With full width spar webbing and plywood caps, this wing will with-stand reasonable 12 volt winch launches. If you wish to have "Metal to the Metal" Gorrilla launches, you will need to supply your own 0.014" x 3/8" & 1/4" CF prepreg strips and 1/16 plywood spar caps. 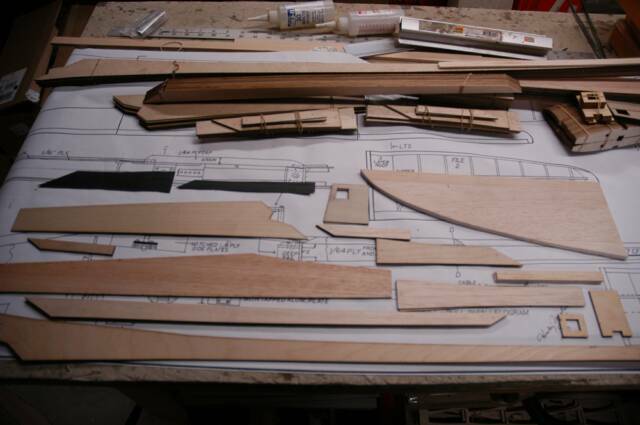 Hardware is limited to the wing joiners, 4 - horns, 2/56 clevis and control rods. This applies to CF for the SGP Full Kit as well. 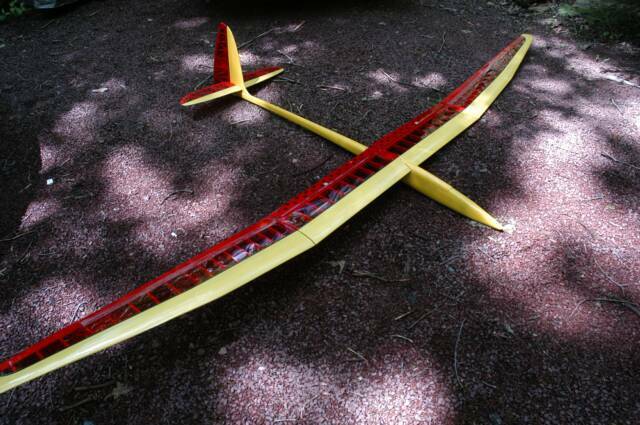 This wing was NOT DESIGNED to withstand "pedal to the metal" gorilla launches, typical of the composite Harley wing! 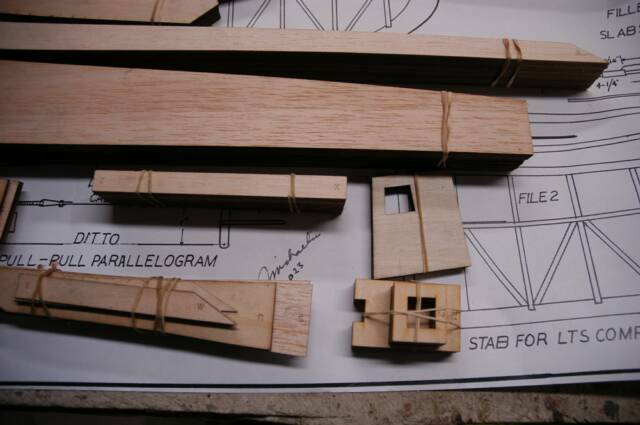 The wood wing has sufficient CF, full width spar webs - hard balsa webs and ply web caps, so it will launch safely with reasonable winch tension. Closer to a typical AVA launch than a Sagitta launch.